There May Still Be Time to Register to Vote! 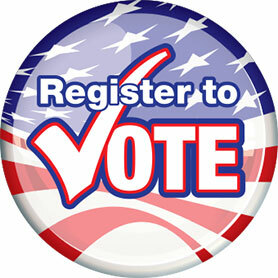 ​Citizens still have the opportunity to register to vote in 31 states and the District of Columbia. Indeed, 13 states have adopted same day or election day registration, meaning voters there can walk up, register, and vote all at the same time. But time may be short: Virginia registration closes today (Oct. 17) and six states close tomorrow. Find out whether registration is still available in your state. And spread the word! It is becoming increasingly apparent that Congress will consider a series of tax provisions during the post-election “lame duck” session this year, regardless of who wins on November 8. For the first time in years, expired charitable giving incentives are not on the to-do list (because Congress made them permanent in late 2015). But Congress is expected to renew three dozen other expired tax breaks for businesses and individuals. Republicans in the House and Senate have made clear that they will also seek to block a pending regulation from the Treasury Department that would tighten the rules for valuing property for federal estate tax purposes. The end-of-year legislative push could also include some of the bills recently approved by the House Ways & Means Committee, such as a measure to restrict use of Social Security Numbers in government mailings (H.R. 5320), increasing enforcement tools to investigate, detain, and seize cultural property that is illegally imported into the United States (H.R. 2285), and expanding access to health care in rural hospitals (H.R. 5613). Promoting Split-Interest Rollovers: Another bill discussed as ripe for lame-duck action is the Legacy IRA legislation (H.R. 5171). The bill would enable individual retirement account (IRA) holders aged 65 and older to rollover up to $400,000 into a charitable nonprofit that runs a split-interest entity, such as a charitable remainder annuity trust. Once established, the person doing the rollover and her/his spouse receive annual income for a period of time, up to death, and any money left over goes to the designated charity. Bill Introduced on Charitable Nonprofits Politicking Ban: In late September, two Representatives introduced a bill (H.R. 6195) that would allow 501(c)(3) nonprofits to make partisan political statements when made "in the ordinary course of the organization's regular and customary activities." The legislation, which is not expected to pass this year, would alter the longstanding prohibition on partisan political intervention by churches and other nonprofits under the Johnson Amendment of 1954. See The Power of Nonpartisanship for an explanation of why the current ban on politicking by charitable nonprofits is in the community’s best interest. President Promotes Pay For Success Programs: President Obama announced two pay-for-success awards from the Education Department intended to identify high-quality career and technical education opportunities and support a feasibility study to identify promising school sites that are using evidence-based interventions for early learning dual language models. The pay-for-success model, which seeks to attract private investment to scale up new approaches to longstanding problems, is the subject of controversy in many parts of the country due to mixed results. In August, the National Council of Nonprofits released “Principles for Consideration of New Funding Mechanisms,” designed for use by nonprofits, governments, foundations, and for-profit entities when considering launching pay-for-success initiatives, social impact bonds, or other new funding mechanisms. Princeton University agreed to pay $18 million over the next seven years to settle a lawsuit brought by local residents challenging the tax-exempt status of the nonprofit university. Admitting no liability, the university agreed to extend for two additional years an agreement to make payments in lieu of taxes (PILOTs) to the local government, pay $10 million into a fund designed to provide property-tax relief for lower-income homeowners, and contribute more than $1 million to a nonprofit dedicated to meeting the housing needs of poorer residents. In a news release, Princeton University’s president stated: “We had every confidence that the courts ultimately would have affirmed the University's continuing eligibility for property tax exemption on buildings and facilities that support its educational, research and service missions, but we concluded that the contributions we will make under the settlement agreement are a better expenditure of funds than continuing to incur the considerable costs of litigation.” See the analysis of the settlement by New Jersey’s Center for Non-Profits. More than 200 million Americans in 35 states will have the opportunity November 8 to decide whether to approve new laws on a wide range of social and public policy issues. In total, 157 ballot measures are up for votes, nearly half of which have been proposed by citizen petitions. As Ballotpedia reports, citizen initiatives “are always more interesting, more controversial, and more compelling to voters.” Also, partisan interests wanting to turn out their base to vote for their candidates often work to get particular issues on the ballot that will motivate the base to show up to vote. Issues this year range from fiscal policy – whether to raise taxes, designate dedicated funding streams, and create tax exemptions – to raising minimum wages, legalizing marijuana, and expanding health care coverage. Read more about 15 ballot measures in nine states and the District of Columbia that could affect the work of charitable nonprofits. Voters in 10 states will decide who will serve as the chief law enforcement officer for their state, including enforcing laws governing nonprofit operations, charitable solicitations, charitable trusts, and more. 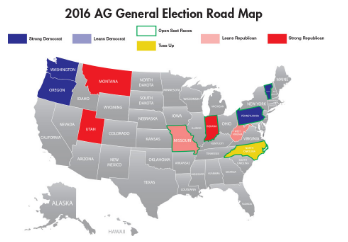 Among the 10 races for state Attorney General, half are open seats and in half incumbents seek re-election. The open seats are in Indiana, Missouri, North Carolina, Pennsylvania, and Vermont. The Pennsylvania AG position is available due to the resignation of Kathleen Kane after a perjury conviction. The North Carolina AG race is the only one listed by pundits as a toss-up. Two state ethics commissions have taken steps in recent weeks to clarify the rules governing the intersection between charitable nonprofits and fundraising by government officials. The Alabama Ethics Commission ruled in September that a public official or employee may not solicit on a nonprofit's behalf if he or she is employed by the nonprofit, is on the Board and paid for Board service, or derives any other personal gain from service. This month, the Kentucky Executive Branch Ethics Commission dealt with the narrower question of the fundraising practices of government-established nonprofits. In recent years, government agencies in the Commonwealth, as in other states, have set up charitable organizations to raise private funds to supplement public appropriations or to perform statutory obligations. In an advisory opinion, the Commission expressed concern that these government-controlled (as opposed to independent) nonprofit could seek to raise confidential donations from lobbyists and other interested persons doing business with the government agency. The Commission issued a ban on confidential donations by those nonprofits and initiated regulatory action to codify the advisory opinion. The proposed regulation is subject to public comment and a public hearing on November 21. Courts decide disputes between parties. But what if a non-party has special insights that could help the court decide a matter correctly, or is concerned that the court may not appreciate how significant or abnormal the case is and thus might issue a decision that could inadvertently hurt the non-party or others? The “amicus curiae” process is designed to allow non-parties to provide outside research and their perspectives to help guide the court in making its decision in a case. As Black’s Law Dictionary explains, “A person with strong interest in or views on the subject matter of an action may petition the court for permission to file a brief, ostensibly on behalf of a party but actually to suggest a rationale consistent with its own views.” Such amicus briefs are typically filed at the appellate level on matters of broad public interest. Recent court filings demonstrate the usefulness of the amicus curiae approach to advocacy for nonprofits. In September, Washington Nonprofits and the National Council of Nonprofits petitioned the Supreme Court of Washington State for permission to file an amici curiae brief in a case involving nonprofit independence and the state’s public records laws. They took action because an adverse broad decision by the Washington Supreme Court could deal a significant blow to the nonprofit community in that state and serve as bad precedent that could spread to courts in other states. In the underlying case, a group filed a public records request with a nonprofit zoo that operates on government-owned property and has a contract with the city. The zoo denied the request, pointing out that the public records law applies to governments, not nonprofits. The trial court agreed with the nonprofit zoo, as did the court of appeals. In the State Supreme Court, the group is urging the court to extend the public records law so it would impose extensive new burdens on nonprofits. The amici curiae brief from the nonprofit associations demonstrates that expansion of the public records act from governments to independent nonprofits is contrary to the legislative history of that statute. They further explain that expansion would significantly harm the ability of nonprofits to provide public benefits by imposing huge new costs to comply whenever anyone walks in off the street asking for copies of any and all records the nonprofit may have. The amici brief also explains for the court that when nonprofits earn money by performing government contracts, the contractual relationship does not transform the nonprofit into a government or authorize disregarding the legal independence of the nonprofit. Oral argument in the case is scheduled for October 27. This summer, the Michigan Nonprofit Association and the Council of Michigan Foundations petitioned the Michigan Supreme Court for permission to file a brief in a case involving a denial of a nonprofit’s property-tax exemption. In recent years, tax assessors in Michigan have introduced novel interpretations of state law, and tax tribunals have not consistently applied the statute. The state association of nonprofits and the regional association of grantmakers are seeking the opportunity to participate in the briefing of the case for the same reason they are advocating in support of a specific piece of legislation in the General Assembly: to secure clarity under the law that will be applied consistently and fairly to all nonprofits in the state. In a case that recently concluded, the Minnesota Council of Nonprofits filed an amicus curiae brief that helped transform a local dispute into a constitutional ruling that will benefit nonprofit property owners for generations. As reported previously in Nonprofit Advocacy Matters, local governments in Minnesota have sought to circumvent the state constitution’s prohibition against taxing the property of charitable nonprofits by disguising a “tax” by relabeling it a “fee.” Two churches brought a lawsuit contending that the imposition of a “Right of Way Maintenance Fee” by the City of St. Paul to fund street repairs was not a special assessment benefiting a specific property but a general tax, and subject to constitutional limits. A lower court ruled against the churches, which appealed to the Minnesota Supreme Court. The Minnesota Council of Nonprofits filed an amicus curiae brief in support of the position of the churches and on behalf of all Minnesota nonprofits. The state association of nonprofits stated the argument succinctly: “When municipal taxes collected for the provision of general city services are recast as fees, as the City has done with its [right of way] assessment, the privilege and entitlement of tax-exemption is wrongfully and detrimentally eroded.” The Supreme Court agreed and reversed the lower court ruling. This opinion provides clear guidance for maintaining charitable property tax exemptions, and will allow Minnesota nonprofits to contest a variety of so-called “fees” levied by St. Paul, Minneapolis, and other cities across the state. These and other cases serve as a reminder that the issues facing nonprofits can be difficult and challenging, but sometimes the "friendly" approach is the most direct and effective. - Rabbi Aaron Bisno, quoted in “Tax exempt nonprofits must be mum when it comes to choosing between candidates,” The Jewish Chronicle, October 14, 2016, speaking up in support of the tax-law ban on charitable nonprofits engaging in partisan, election-related activities. - Ruth McCambridge, “Dear Charity Navigator: Don’t Backtrack on Overhead Now!,” Nonprofit Quarterly, October 5, 2016, taking Charity Navigator to task for instructing nonprofits in a blog posting that administrative costs of less than 15 percent is considered excellent, and effectively repudiating its own denunciation of the “overhead myth” that promoted such backward thinking. - Thomas Gould, a student at Yale University, as reported in “Short on Cash, Cities and States Consider Taxing Nonprofits,” Elaine Povich, Stateline, October 4, 2016, speaking at a public debate about government efforts to divert money from nonprofits. “United Way engages in public policy advocacy because we recognize that it is our civic obligation to use our experience and knowledge to help inform policymakers’ decisions regarding policy and funding of government human services programs.” - Advancing the Common Good: United Way Policy Agenda for 2015-2016, United Way Worldwide, eloquently explaining the appropriateness of nonprofit advocacy. “How to help poor and working-class New Yorkers achieve self-sufficiency,” Jeremy Smerd, Crain’s New York Business, October 4, 2016, making the case for focusing less on a single statistic (poverty level) and instead working to achieve self-sufficiency, which is defined as having enough money for basic needs—food, shelter, health care, child care—without government help. “Should Free Speech for Nonprofits Include Political Campaign Involvement?,” Martin Levine, Nonprofit Quarterly, October 5, 2016, restating the solid rationale for retaining the absolute ban against charitable nonprofits engaging in partisan election-related activities. Student Voting Guide, resource from BestColleges.com designed to encourage college students to get out the vote, providing various tools including a state-by-state directory of eligibility rules, a key issues guide taking a bipartisan look at the major talking points of this election, and a voting rights manual. 6 Tips for Busting the Overhead Myth, GuideStar, October 2016, offering advice to nonprofits about approaching donors not with an arbitrary spending ratio, but with data about performance, demonstrable ethical practices, measurements that reflect results, and more. How Healthy Is Your Community?, County Health Rankings, University of Wisconsin Population Health Institute, providing a breakdown by each state and county of 46 measures of health behaviors (smoking, teen births), clinical care (number of primary care physicians, health care costs), socio-economic factors (graduation rate, children in poverty, income inequality), and the physical environment (air, water pollution), and providing rankings based on health outcomes and health factors. Increase from 2006 to 2012 in U.S. election campaign donations from 501(c)(4) social welfare nonprofits, which can keep donors names anonymous, leading to the term “dark money” for this source of campaign cash. Source: How Unregulated Dark Money is Reshaping State Politics, Alan Greenblatt, Governing, September 29, 2016.